New coach-rail services are launched to help storm-hit communities in the south-west of England, Stagecoach Group announced on 26th February 2014. The integrated service provide a seamless link between London and the West Country using a combination of South West Trains rail services and megabus.com coaches. It provides significant extra public transport capacity to keep communities in Devon and Cornwall connected while one of the main railway lines is closed following the collapse of the sea wall and damage to the track at Dawlish. The new services use a rail hub at Honiton providing onward coach connections to a number of destinations in the south-west. From Honiton there are three routes: Cullompton-Tiverton-Barnstaple; Newton Abbot- Torquay-Paignton-Totnes-Plymouth; and Launceston-Bodmin-St Austell-Truro-Penzance. The coach-rail services operate Mondays to Fridays. On Saturdays and Sundays, there is one departure in each direction on the Plymouth and Barnstaple routes only. A fleet of five double-decker coaches are used for the operation, offering 4,000 seats a week. Prices start from £1 (plus 50p booking fee) and most passengers pay less than £28, with the network offering journeys of up to around 300 miles. 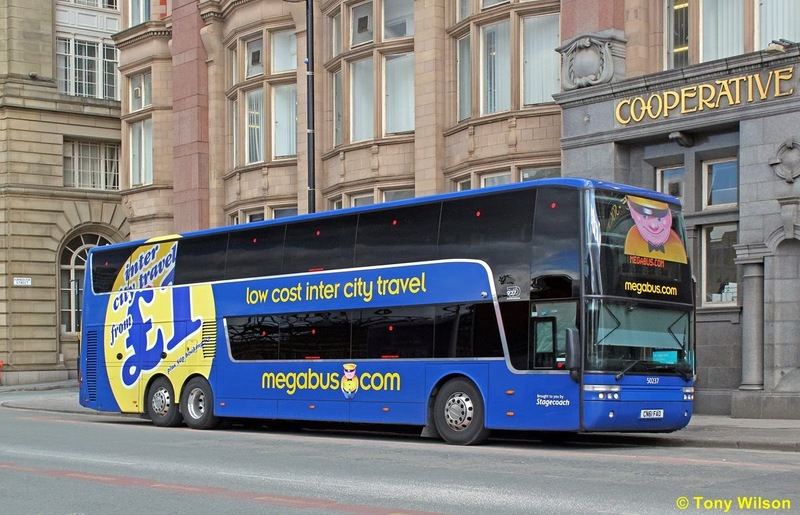 Seats can now be booked online at www.megabus.com and services will start running on Monday 3rd March. Stagecoach also confirmed that it has increased capacity on its megabus.com services to Cornwall by 50% from around 400 seats a day to nearly 600. APPS THE WAY TO DO IT ! Call The Midwife & The Real Z-Cars!